We hope that you will support this legacy of providing quality gymnastics programs for deserving youth. On December 10, 2018, gymnastics lost one of its greatest champions. 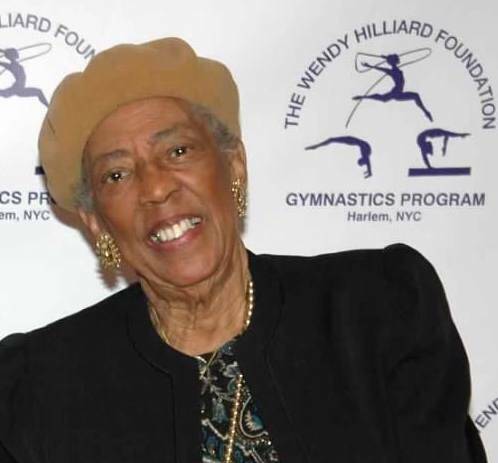 Mrs. Gwendolyn "Gwen" R. Hilliard championed both rhythmic and artistic gymnastics for over 40 years. As an teacher and administrator in the Detroit Public School System, she believed that all youth deserved to have access to excellent training. She further believed in the power of community, and that the community must also support the efforts of young people who want to experience, learn, or compete in gymnastics. The story goes that when Mrs. Hilliard was a young girl she was performing a partnered acrobatic routine at a school assembly when her father called out mid-performance: "Don't you drop my daughter!" Young Gwen was so embarrassed that she gave up acrobatics all together, but it always held a special place in her heart. When her daughter Wendy showed talent and passion for gymnastics, Mrs. Hilliard worked tirelessly to find gymnastics classes for her in Detroit. Classes were limited in Detroit, so she drove her daughter to the suburbs where she found an excellent program at the Jewish Community Center led by the husband and wife team of Vladimir and Zina Mironov, Master of Sport coaches from the Soviet Union. When the travel and cost of this program became too much, Mrs. Hilliard convinced the head of the Detroit Recreation Department to hire the Mironovs and bring high quality gymnastics to the city. The result was the award-winning Detroit Metro Gymnasts (DMG) program, which developed National Champions, National Team Members, World Championship Competitors, and a two-time Olympian. DMG gymnastics training fees were nominal but the national and international travel required additional funding, so Mrs. Hilliard organized the Friends of Detroit Metro Gymnastics to raise money and host events for the team. Detroit hosted the Rhythmic Gymnastics National and International training camps with the world's top rhythmic gymnasts, as well as annual performances. DMG put the idea of community partnership into practice, working with the City of Detroit Recreation Department, the Friends of Detroit Metro Gymnasts, and the incomparable coaching of the Mironov's, Roza Litva and Mike Friedan. 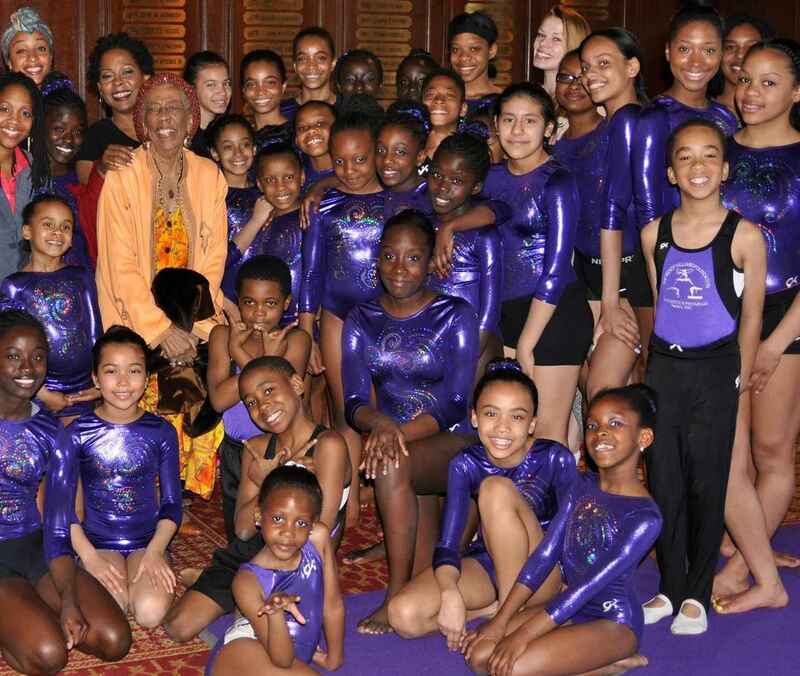 Gwen Hilliard's daughter, Gwendolyn "Wendy" Hilliard, followed the road her mother laid in recreating this program in New York City through the Wendy Hilliard Gymnastics Foundation "WHGF". Since 1996, over 17,000 youth have received free and low-cost gymnastics classes, training, and coaching in Harlem. In 2016, the WHGF expanded to Detroit and now provides free gymnastics for over 200 youth back where the story began. Beginning in January 2019, WHGF will offer free gymnastics at the newly renovated Detroit Recreation Department's Kemeny Center, carrying Gwen Hilliard's legacy forward. Donations to the Gwen Hilliard Gymnastics Legacy Fund will provide scholarships for training, classes and to support the free programs of WHGF. In loving memory of Gwen Hilliard...teacher, administrator, colleague and friend extraordinaire. Gwen Hilliard was a great leader in the world of gymnastics and a brave activist to make gymnastics available to all young women, against great odds. In Honor of your Mother—Thank you for sharing her Wendy, Gloria, Amy and Pamela! Dear Wendy, in your mother's honor, please except this small donation to her legacy of work.